رهبری‌پور, کسری, سالک, رقیه, پژوهان, موسی, قاسم‌زاده, بهنام. (1397). بررسی کیفیت خدمات موزه‌ها از نگاه گردشگران و تأثیر آن بر رضایت و تمایلات رفتاری آنان، مورد مطالعاتی: موزه‌های مشروطه و قاجار تبریز. معماری و شهرسازی آرمان شهر, 11(23), 41-52. کسری رهبری‌پور; رقیه سالک; موسی پژوهان; بهنام قاسم‌زاده. "بررسی کیفیت خدمات موزه‌ها از نگاه گردشگران و تأثیر آن بر رضایت و تمایلات رفتاری آنان، مورد مطالعاتی: موزه‌های مشروطه و قاجار تبریز". معماری و شهرسازی آرمان شهر, 11, 23, 1397, 41-52. رهبری‌پور, کسری, سالک, رقیه, پژوهان, موسی, قاسم‌زاده, بهنام. (1397). 'بررسی کیفیت خدمات موزه‌ها از نگاه گردشگران و تأثیر آن بر رضایت و تمایلات رفتاری آنان، مورد مطالعاتی: موزه‌های مشروطه و قاجار تبریز', معماری و شهرسازی آرمان شهر, 11(23), pp. 41-52. رهبری‌پور, کسری, سالک, رقیه, پژوهان, موسی, قاسم‌زاده, بهنام. بررسی کیفیت خدمات موزه‌ها از نگاه گردشگران و تأثیر آن بر رضایت و تمایلات رفتاری آنان، مورد مطالعاتی: موزه‌های مشروطه و قاجار تبریز. معماری و شهرسازی آرمان شهر, 1397; 11(23): 41-52. 1دانشجوی دکتری معماری، دانشکده هنر و معماری، دانشگاه آزاد اسلامی واحد تبریز، تبریز، ایران. 2دانشجوی دکتری جغرافیا و برنامه‌ریزی روستایی، دانشکده علوم زمین، دانشگاه شهید بهشتی، تهران، ایران. همگام با روندهای جهانی در گردشگری فرهنگی، گردشگری میراث فرهنگی به‌عنوان شکل رایجی از گردشگری، پدید آمده است. موزه‌ها نه تنها عامل مهمی در توسعه محلی بوده و در حفظ میراث فرهنگی جامعه مفید هستند، بلکه عامل بسیار مؤثری در جذب گردشگران فرهنگی و رشد صنعت گردشگری در کشور است. مقاله حاضر به ارزیابی نظرات گردشگران از کیفیت خدمات موزه‌های قاجار و مشروطه شهر تبریز پرداخته است. این تحقیق به لحاظ هدف، توصیفی- تجربی و به لحاظ زمانی، مقطعی و به روش پیمایشی انجام گرفته است. جامعه هدف، گردشگران بازدیدکننده از موزه‌های قاجار و مشروطه تبریز در تعطیلات نوروزی سال 1393 بود که در بازه زمانی یک‌ماهه (اواسط اسفند 1392 تا اواسط فروردین 1393) از این موزه‌ها بازدید به عمل آورده‌اند. مشارکت پاسخگویان در مصاحبه به‌صورت داوطلبانه بوده و بنابراین آن‌ها با میل و رغبت خود به سؤال‌ها پاسخ دادند. تعداد 320 پرسش‌نامه به‌صورت کاملاً تصادفی در بین گردشگران توزیع شد که 309 قابل قبول، تحلیل شد. تحقیق شامل 7 متغیر اصلی و 5 متغیر جمعیت‌شناختی است. از 7 متغیر اصلی و 5 متغیر مربوط به ابعاد کیفیت خدمات یعنی همدلی، عوامل فیزیکی، مسئولیت‌پذیری، تضمین و قابلیت اتکاء است که از مدل سروپرف استخراج شده و دو متغیر مربوط به رضایت و تمایلات رفتاری بازدیدکنندگان است. هدف اصلی در بررسی، ابعاد کیفیت خدمات موزه‌ها از دیدگاه گردشگران و اهداف فرعی آن شامل تأثیر این ارزیابی‌ها بر رضایت و تمایلات رفتاری گردشگران است؛ که به همین دلیل 5 فرضیه طرح شده که نتایج بیانگر اثرات مثبت و معنی‌دار کیفیت خدمات و رضایت بر تمایلات رفتاری و تأثیر معنی‌دار کیفیت خدمات بر رضایت است. Abdullah, F. (2005). Hedperf Versus Servperf: The Quest for Ideal Measuring Instrument of Service Quality in Higher Education Sector. Quality Assurance in Education, 13(4), 305-328. Akbar, M.M., & Parvez, N. (2009). Impact of Service Quality, Trust, and Customer Satisfaction on Customer Loyalty. ABAC Journal, 29(1), 24-38. Apostolakis, A., & Jaffry, S. (2005). A Choice Modeling Application for Greek Heritage Attractions. Journal of Travel Research, 43(3), 309-318. Athanassopoulos, A.D. (2000). Customer Satisfaction Cues to Support Market Segmentation and Explain Switching Behavior. Journal of Business Research, 47, 191–207. Baker, D., & Crompton, J. (2000). Quality, Satisfaction and Behavioral Intentions. Annals of Tourism Research, 27(3), 785-804. Beckendorff, P. (2006). Attractions Megatrends. In D. Buhalis, & C. Costa (Eds. ), Tourism Business Frontier, 200–210. Butterworth-Heinemann. Boulding, W., Kalra, A., Staelin, R., & Zeithaml, V. (1993). A Dynamic Process Model of Service Quality: From Expectations to Behavioral Intentions. Journal of Marketing Research, 30(1), 7. Charles, V., & Kumar, M. (2014). Satisficing Data Envelopment Analysis: An Application to Servqual Efficiency. Measurement, 51, 71-80. Chen, C. (2008). Investigating Structural Relationships between Service Quality, Perceived Value, Satisfaction, and Behavioral Intentions for Air Passengers: Evidence from Taiwan. Transportation Research Part A: Policy and Practice, 42(4), 709-717. Chen, C.F., & Tsai, D.C. (2007). How Destination Image and Evaluative Factors Affect Behavioral Intentions?. Tourism Management, 28(4), 1115-1122. Cronin, J., Brady, M., & Hult, G. (2000). Assessing the Effects of Quality, Value, and Customer Satisfaction on Consumer Behavioral Intentions in Service Environments. Journal of Retailing, 76(2), 193-218. Cronin, J.J. & Taylor, S.A. (1992). Measuring Service Quality: A Reexamination and Extension. Journal of Marketing, 56, 55-68. Davis, A., & Cox, D. (2001). Total Quality Management, Theories and Implementation Model. (Sh. Maqsood, Trans.). 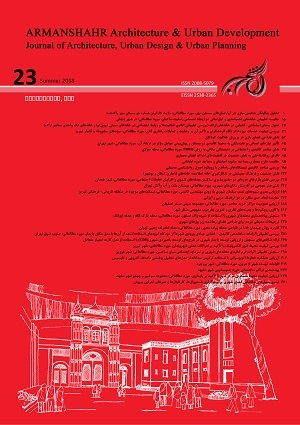 Andishe Publication, Tehran. De Rojas, C., & Camarero, C. (2008). Visitors Experience, Mood and Satisfaction in a Heritage Context: Evidence from an Interpretation Center. Tourism Management, 29(3), 525-537. Fitzsimmons, J.A., & Fitzsimmons, M.J. (1994). Service Management for Competitive Advantage. New York: Mcgraw-Hill. Floh, A., Zauner, A., Koller, M., & Rusch, T. (2014). Customer Segmentation Using Unobserved Heterogeneity in the Perceived-Value-Loyalty-Intentions Link. Journal of Business Research, 67(5), 974-982. Frochot, I., & Hughes, H. (2000). HISTOQUAL: The Development of a Historic Houses Assessment Scale. Tourism Management, 21(2), 157-167. Hui-Ying, S., & Chao-Chien, C. (2008). A Study Of Service Quality and Satisfaction for Museums – Taking the National Museum of Prehistory as an Example. The Journal of Human Resource and Adult Learning, 14(1), 159-170. Jacob, C., Guéguen, N., & Boulbry, G. (2014). Using Verbal Attention to Enhance Restaurant Customer Satisfaction and Behavior. International Journal of Hospitality Management, 39, 50-52. Kao, Y., Huang, L., & Wu, C. (2008). Effects of Theatrical Elements on Experiential Quality and Loyalty Intentions for Theme Parks. Asia Pacific Journal of Tourism Research, 13(2), 163-174. Kavusi, M., & Saghaei A. (2005). Customer Satisfaction Measurement Methods. Baztaban Publications, Tehran. Kumar, M., Tat Kee, F., & Charles, V. (2010). Comparative Evaluation of Critical Factors in Delivering Service Quality of Banks: An Application of Dominance Analysis in Modified Servqual Model. International Journal of Quality & Reliability Management, 27(3), 351-377. Lai, C. (2015). Archaeological Museums and Tourism in China: A Case Study of the Sanxingdui Museum. Museum Management And Curatorship, 30(1), 75-93. Lee, H., Lee, Y., & Yoo, D. (2000). The Determinants of Perceived Service Quality and Its Relationship with Satisfaction. Journal of Services Marketing, 14(3), 217-231. Mason, D., & Mccarthy, C. (2006). The Feeling of Exclusion: Young Peoples Perceptions of Art Galleries. Museum Management and Curatorship, 21(1), 20-31. Nathaniel, D.L., & Rodney, C.R. (2014). Destination Marketing and the Service-Dominant Logic: A Resource-Based Operationalization of Strategic Marketing Assets, Tourism Management, 43, 91-102. Norazah, M.S. (2014). Passenger Satisfaction with Airline Service Quality in Malaysia: A Structural Equation Modeling Approach, Research in Transportation Business & Management. Oliver, R. (1999). Whence Consumer Loyalty? Journal of Marketing, 63, 33. Parasuraman, A., Zeithaml, V.A., & Berry, L.L. (1988). SERVQUAL: A Multiple Item Scale for Measuring Customer Perceptions of Service Quality. Journal of Retailing, 64(1), 12-43. Parker, C., & Mathews, B.P. (2001). Customer Satisfaction: Contrasting Academic and Consumers’ Interpretations. Marketing Intelligence & Planning, 19(1), 38-44. Petrick, J., & Backman, S. (2002). An Examination of the Construct of Perceived Value for the Prediction of Golf Travelers’ Intentions to Revisit. Journal of Travel Research, 41(1), 38-45. Phaswanamafuya, N., & Haydam, N. (2005). Tourists’ Expectations and Perceptions of the Robben Island Museum—A World Heritage Site. Museum Management and Curatorship, 20(2), 149-169. Reisinger, Y., & Turner, L.W. (2003). Cross-Cultural Behaviour in Tourism: Concepts and Analysis. Oxford: Butterworth-Heinemann. Rowley, J. (1999). Measuring Total Customer Experience in Museums. International Journal of Contemporary Hospitality Management, 11(6), 303-308. Shahverdiyani, S. (2010). Designing Research Service Quality Based On Servqual Scale, (3)5, 87-95. Shoemaker, S., & Lewis, R. (1999). Customer Loyalty: The Future of Hospitality Marketing. International Journal of Hospitality Management, 18(4), 345-370. Vigripat, T., & Chan, P. (2007). An Empirical Investigation of the Relationship between Service Quality. Brand Image, Trust, Customer Satisfaction, Repurchase Intention and Recommendation to Others. International DSI/Asia and Pacific DSI. Zhou Lingqiang, L. (2014). Tourists’ Motivations and Tourism Destination Development: An Application of Revised Travel Career Pattern TCP Theory. Journal of Zhejiang University, 1(1), 131-144. Zhou Lingqiang, L., Ye, S., Pearce, P., & Wu, M. (2014). Refreshing Hotel Satisfaction Studies by Reconfiguring Customer Review Data. International Journal of Hospitality Management, 38, 1-10.